Australian law permits you to marry literally anywhere within our borders, so you have plenty of places to choose from. Here are some points to ponder as you determine where you'd like to be when you go from engaged to married. The first thing to do is write out a guest list. Once you have an idea of guest numbers - bearing in mind that this may fluctuate slightly - you know how much space you're looking for. Is there somewhere that has a special meaning for the two of you? It may be a restaurant where you had a special date, the vineyard that produces your favourite wine, a park that you enjoy exploring together or even the home of a family member. Pick a place that resonates with you. If you're marrying in a park, garden or other public space, chances are you'll need a permit. As soon as you've decided on a date, contact the appropriate council to determine the next steps. They'll also be able to tell you if there are any conditions you must adhere to - no confetti/rose petals is a common one. Don't forget to take the permit with you on the day. Find out if any other events are scheduled for the same time as your wedding. I once arrived at a park to find that a children’s fair, complete with petting zoo, fire engines and Wiggles tribute concert was booked for the same time as our ceremony and had to do some negotiating to ensure the vows weren’t interrupted by the chorus of Big Red Car! This also applies to events that may close roads before and after your wedding. The last thing you want is for guests to miss out on your CBD ceremony because roads have been closed for the Grand Final Parade. If you opt for an outdoor ceremony, bear in mind that the weather will play a part in your day. Sunshine's great but too much of it can lead to squinting and sunburn, which make for um, interesting photos. 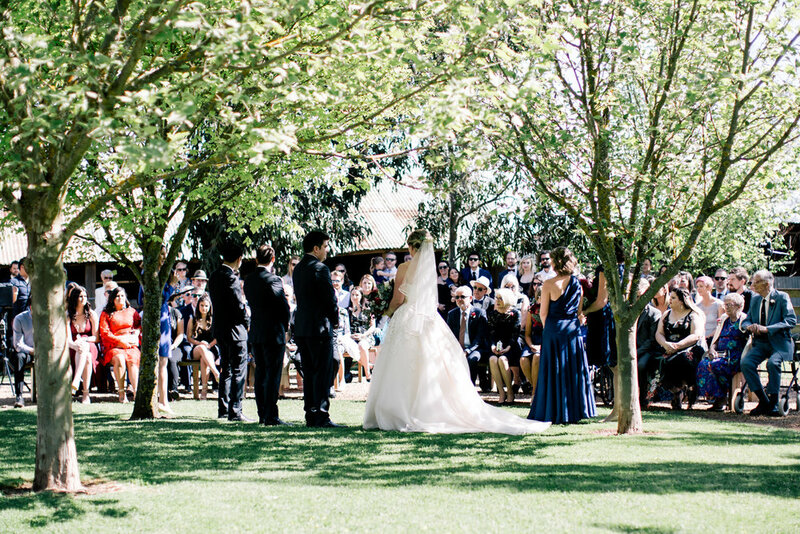 Look at having a partially shaded ceremony or providing parasols in the case of extreme sun. Wind is another one to be aware of as it is notorious for stealing sound. Weddings by water, for example, are generally very windy so if you're having a beachside wedding, consider a slightly sheltered area to stop your voices being carried away. Further to the previous point, have a contingency plan for extreme weather situations. No one likes to imagine that it will rain on their wedding day but it can and it does. Have a back-up plan, whether it's moving the ceremony or erecting a shelter. It's far better to have a Plan B in place and decide a day beforehand to use it than to have to stop your ceremony and run for cover as it starts pelting down! Whilst we generally think of contingency plans for rain, it's also worth considering for intense heat, or in extreme cases, bushfire. No one wants to see you faint from sunstroke or for people’s lives to be put at risk. Is the ceremony venue easily accessible? If you love the idea of marrying in an isolated field with towering mountains as your backdrop, ask yourself if everyone you want to attend will be able to get there on foot. Unless Nanna has a scooter with 4WD tyres, you might need to reconsider. 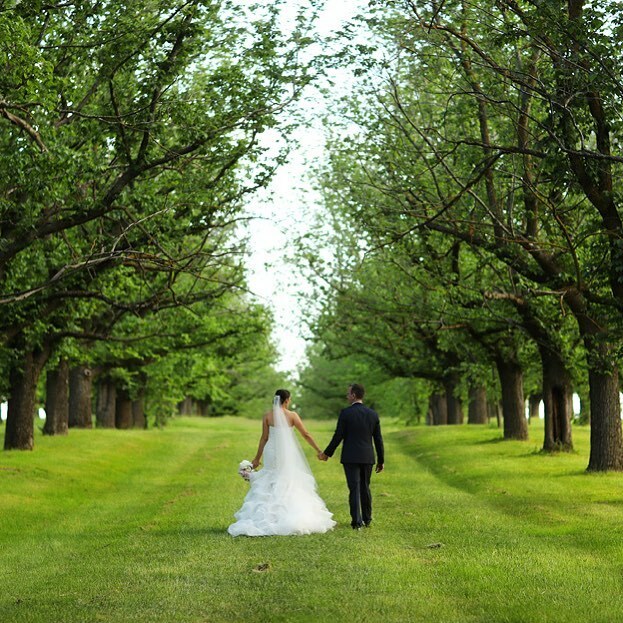 Can you get to your reception venue from your ceremony venue easily enough? 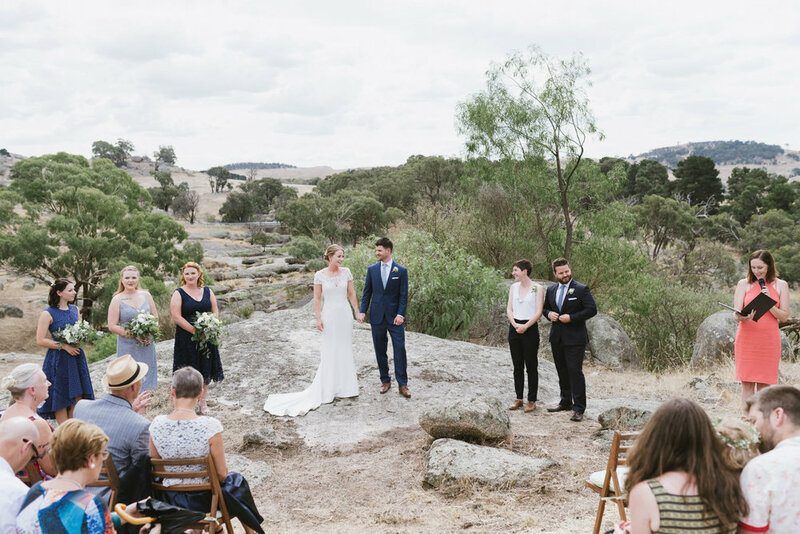 While you might love the idea of a beachside wedding and a Yarra Valley reception, the travel time involved means a slight delay at any point can really ruin your plans. What facilities are on offer at the venue? It sounds really obvious, but find out well in advance if the things that you assume are part of the package actually are. Is seating provided? Is there parking on-site? Will bathrooms be available for guests? Some people like to watch. Weddings are an intimate event yet most people can't resist taking a peek at a ceremony if they happen past one. Casual bystanders are almost always respectful but if you're not comfortable with strangers observing this special moment in your life, you may like to choose a more private location.